Ah, the M-series watches... it seems that any time I can't identify a watch from the 1960's I can always fall back on the M-series. There are plenty of well known Hamilton models from prior to 1950 that don't show up in the catalogs. However, when I can't identify a watch that is obviously a 1960's era model I normally declare it an M-series watch and call it a day. 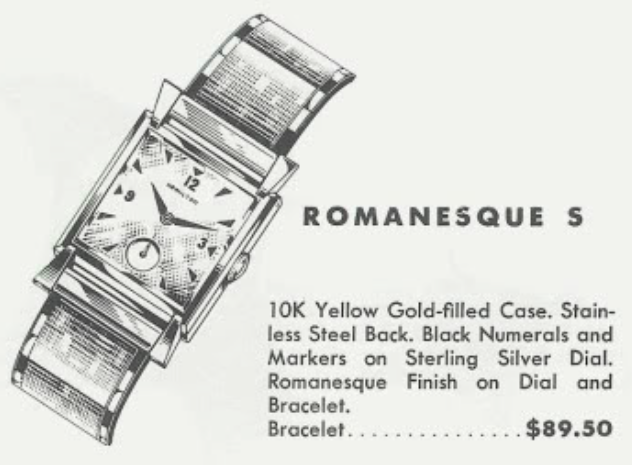 In 1961 Hamilton introduced a line of men's and women's watches called the M and F series. 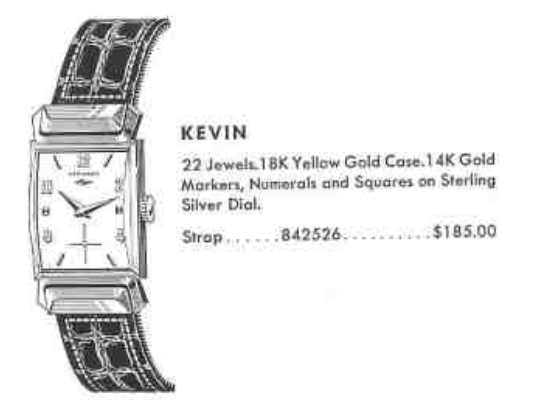 Rather than a formal name, each model was known by it's gender, price and order of arrival. 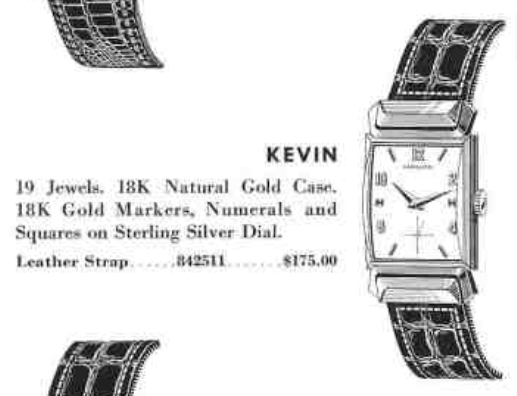 I've only seen a catalog from 1964 with images of the M-watches but I know the line was produced through 1967. The conventional wisdom is the line was specially marketed to a large retail chain - exactly which one is unknown but if you were around in the 1960's, '70's or even the 1980's, you might recall the stores that had a small display area with catalogs to peruse and a warehouse in back to get anything you saw in the catalog. Stores like Service Merchandise and Best come to mind. Anyway, I recently landed a nice project watch that I couldn't readily identify and another knowledgeable collector-friend of mine figured it was either an M 89-1 or an M89-2. That would mean it was the first or second model to be priced at $89. Unfortunately I don't have a catalog image to prove it. However, I've seen the M 89-3 and 4 and I know it's not one of those. My project watch arrived in classic, fresh from an old desk drawer condition. It was in non-running condition without a movement photo - which is always a crap shoot. If you can't see a movement photo and a watch is listed as "not running" you may want to seriously reconsider purchasing it. There will always be another. But as they say... sometimes it's hard to practice what you preach. The seller included in the box a set of new fishing hooks - which was very nice as he noticed I like to fish as well as fix watches. One thing I noticed right away, other than the beat up crystal, is the crown is way too big for the watch and it proved to be a little wobbly. The stainless steel case is a one-piece design although the case back almost looks like it could separate. It's heavily worn by what must have been a one-piece strap that went over the back. It's hard to wear into stainless steel so I'm curious what would leave such a mark? As you can see from the side, it's a very thick case and if I didn't know better, I would guess it was a K-series watch in the 500 line (due to the stainless case). It's definitely too thick to be an Accumatic or Thin-o-matic. With the crystal out of the way, the dial looks to be in decent shape... a little spotty but nothing to complain about. Whoa... the movement is super dirty and I doubt it's even seen a watchmaker since it was first cased. Some water got in too and its rusted around the perimeter. I can't even see the bridge screws through the rust. The movement is a 667 which is a variant of the 661 that was used in the K-series line. 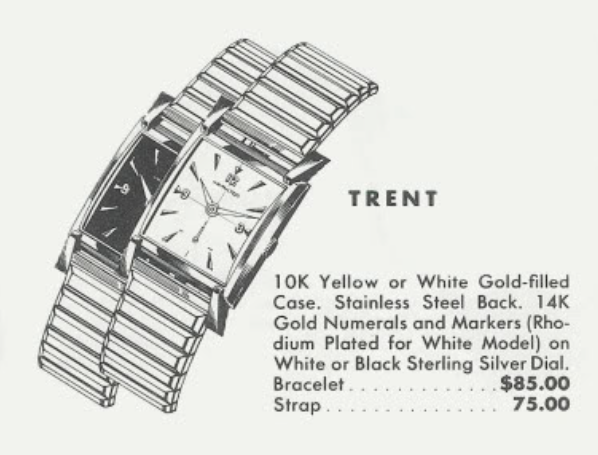 The 667 was introduced in 1961 so this is a 1960's watch for sure. With the rotor out of the way the rotor carrier is looking okay. The rust seems to just be around the outside. With the dial and hands now removed, the front of the main plate looks great - much different from the back, that's for sure. It took me a while but I eventually broke all the rusted screws loose and got the movement completely apart. My ultrasonic runs for pre-set periods of time and I always run the cleaning solution for 480 seconds, or 8 minutes. You can see how dirty the cleaning solution was after the first pass. This is probably one of the dirtiest watches I've seen. It was so dirty that I decided to clean it again for another 480 seconds in fresh solution. Here are the parts after the next 8 minutes. This is normally what a movement will look like after being in the ultrasonic. The next step is to rinse it in two separate jars with rinsing solution. Things are nice and shiny now. I'd say 90% of the rust is gone and none of it was on the important parts like the hairspring, wheels, etc. The partially assembled movement is now in running condition so it's off to the timer to see how well it's performing. It's running fast and a little oddly - so I'll pass it through my demagnetizer to see if that shakes things loose. That's better - now I just need to slow it down a little. The Amplitude of 209 is a result of not fully winding the watch. It will increase if I wind the watch more fully. Now the oscillating weight carrier can go back in place. This assembly contains the reversing wheels that enable the rotor to wind the watch regardless of which way the rotor swings. Since this is a one-piece case design, I need to reinstall the weight before I put the movement back in the case. I just lubricate the post and jewel in the center, drop the weight in place, and flip the toggle to the right to lock it onto the movement. A new crystal will make a big improvement to the exterior of the watch. 30.6mm diameter will do the trick. A black teju-lizard strap complements the freshly polished case and completes the restoration of this very nice 1961-ish M-series watch. I think it turned out very nice, considering I didn't know what sort of mess was awaiting me inside the case when I bought it.